With an aim to attract an international startup community, the National Innovation Agency (NIA) is using a French model to build Chiang Mai Innovation District. The Smart City projects and the Eastern Economic Corridor (EEC) in Thailand observe a revolution with massive revenue delivered by French tech firms. “In order to build an Innovation District, NIA will take assistance from a model of France called Paris & Co in Chiang,” said Pun-Arj Chairatana, NIA director. “Paris & Co is the Paris’ economic development and innovation agency formed to luring foreign startups,” he added. NIA has envisaged to built Chiang Mai & Co in Thapae Road in association with the Industry Ministry by end of this year, which will be sponsored by Science and Technology. 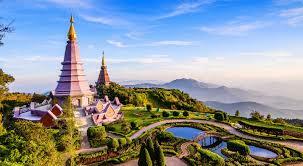 Chiang Mai & Co will function as launching and landing path for digital travellers for access to smart visas and get in touch with local startups and local universities to build a startup ecosystem in Chiang Mai. “This will play an important role to make Chiang Mai an Innovation District for building tech-based entrepreneurs despite its status – as a home to more than 10,000 digital nomads,” said Mr Pun-Arj. Also, NIA is holding talks with Airbus to make an aero-tech accelerator in the EEC.